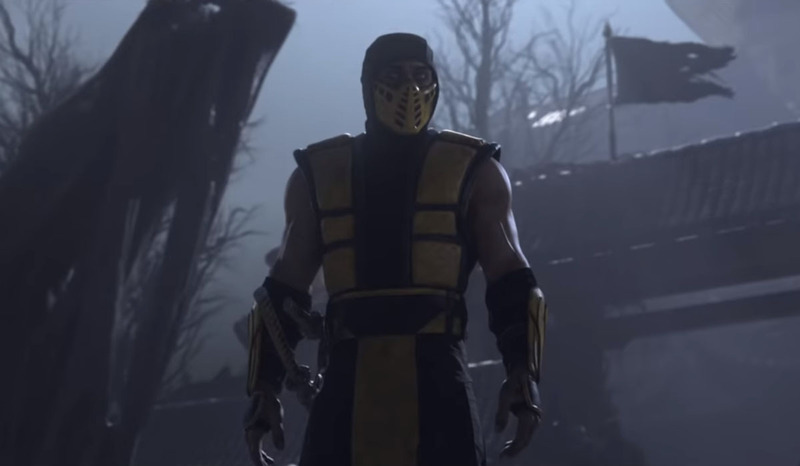 During the 2018 Game Awards, Mortal Kombat co-creator Ed Boon appeared to present an award while also debuting the announcement trailer for Mortal Kombat 11. We see Raiden, the god of thunder, going up against Scorpion. This trailer is definitely for mature audiences as we see the two having a bloody fight with fatalities to boot! Yes, we get to see more than one fatality. Things don’t end too well for the yellow ninja as he gets pummeled. Raiden grabs Scorpion’s head and applies pressure along with electricity, ending with his head exploding. Oh, but this isn’t the finale. Scorpion appears again, but this time as a specter. He wastes no time and calls upon his flames and flies towards Raiden’s body, causing his torso to burn away. He then decapitates Raiden’s head, launches it into the sky and retrieves it with his spear. The game will feature a new Custom Character Variation System that allows players to have customized versions of the playable characters. The story is also an important part of the series, and fans can enjoy the new cinematic story. Stay tuned on January 17th for the Global Livestream Gameplay Reveal at 11 a.m. PST. You can check it out at www.twitch.tv/NetherRealm. There’s also a chance to get hands-on with Mortal Kombat 11 gameplay, tournaments and other activities. The announcement trailer was a gruesome and fitting way to announce Mortal Kombat 11, which will be available for PlayStation 4, Xbox One, Nintendo Switch and PC on April 23, 2019. If you pre-order the game, you’ll get Shao Kahn as a playable character. Select retailers will offer players access to the beta for the PlayStation 4 and Xbox One, which will be out in March. Mortal Kombat is a fighting game franchise that debuted at arcades in 1992. Since then, it has become controversial due to its violent gameplay, with some console versions toning down the violence due to pressures from parents. Thanks to the rating system, fans don’t have to worry about Netherrealm toning down the violence now. The post Scorpion and Raiden’s fight to the death in Mortal Kombat 11 trailer is bloody appeared first on Nerd Reactor.